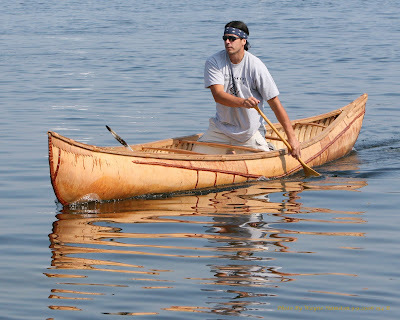 Several months ago I had the pleasure to paddle a birchbark canoe in Augusta, which I reported here. Aside from the fact that canoe had been built at the Penobscot Marine Museum, I didn't have much detail about it at the time. But now that I work at the museum and have had a chance to rummage around, and can provide a bit more info., plus photos. 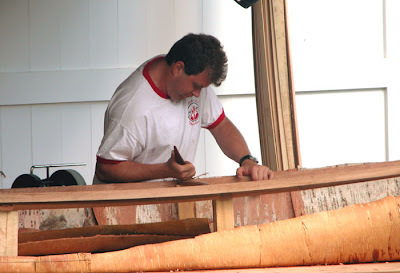 The boat, about 18' long, was built in 2006 under the direction of Aaron T. York. According to a press release from the museum, "York is a full time artist in the realm of Wabanaki traditional arts and a member of the Western Abenaki Nation. 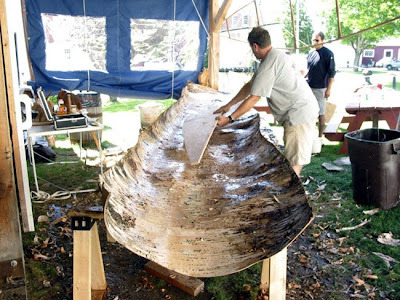 His primary occupation is the building and research of Wabanaki birch bark canoes and associated items that go with the use and creation of these vessels." He was assisted in the building by other members of the Penobscot Nation of Indian Island (near Bangor, in the Penobscot River). 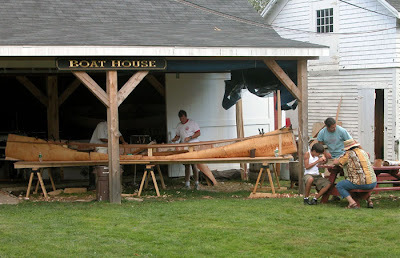 The canoe was assembled on the grounds of the Penobscot Marine Museum, in Searsport, Maine. 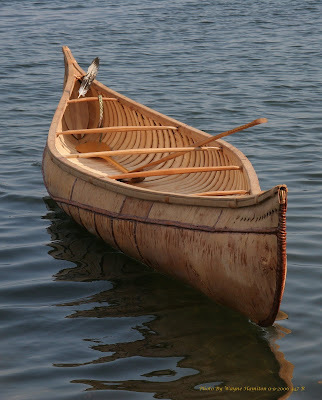 It was described as an "exact replica" of a "c.1850 ocean canoe of the Penobscot Wabanaki Nation," designed for use "in the bays and drainage basins of the Penobscot River and other regional waters." Construction photos are by Peter Lindquist. 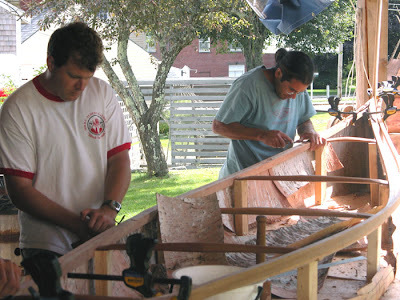 Photos of the finished canoe by Wayne Hamilton. All rights reserved -- not to be reproduced...please.